-Blessed is the mind too small for doubt. 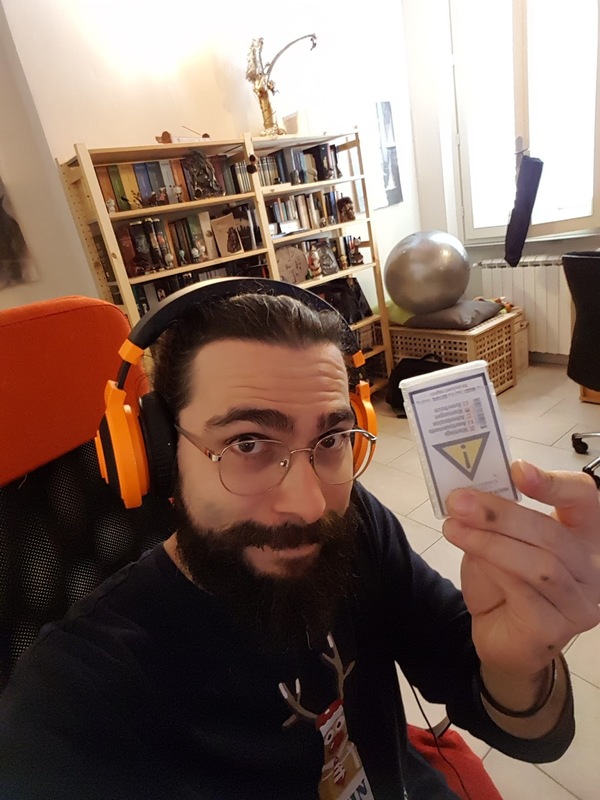 Hi there my friends and welcome to this brief recap about my Clan Company Sorrgol project. 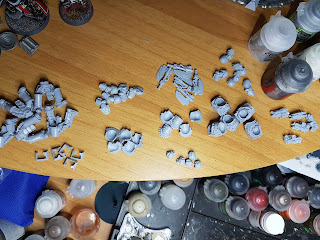 It is supposed to be an ending post about my first demi-company based on them, although I have planned to paint and build more and create a full company; that will occur in time, since I'm already working on a new AoS project. 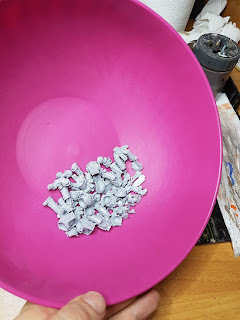 I generally conclude a project with a huge background post, full of custom (and real) lore, but since I can't do anything like that for Clan Company Sorrgol (they already have a beautiful storyline written by some of the most talented BL's writers, so don't need mine), I decided to end the project, and the stream of posts about it, with a quick modeling/painting recap. ...and here, for the complete showcase of the project. You may notice the total absence of scouts, assaults and devastators. That's partially my fault, partially a background matter. 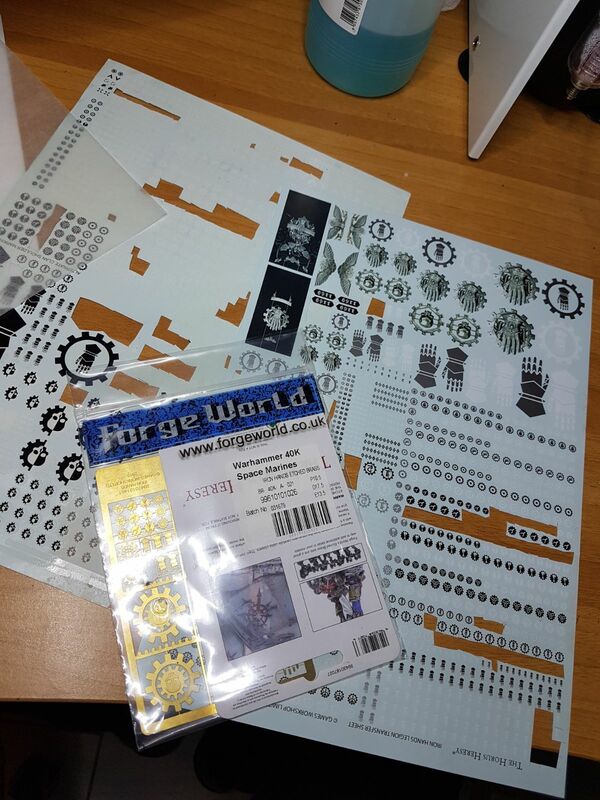 Iron Hands rely a lot on dreadnoughts, heavy tanks and infantry. 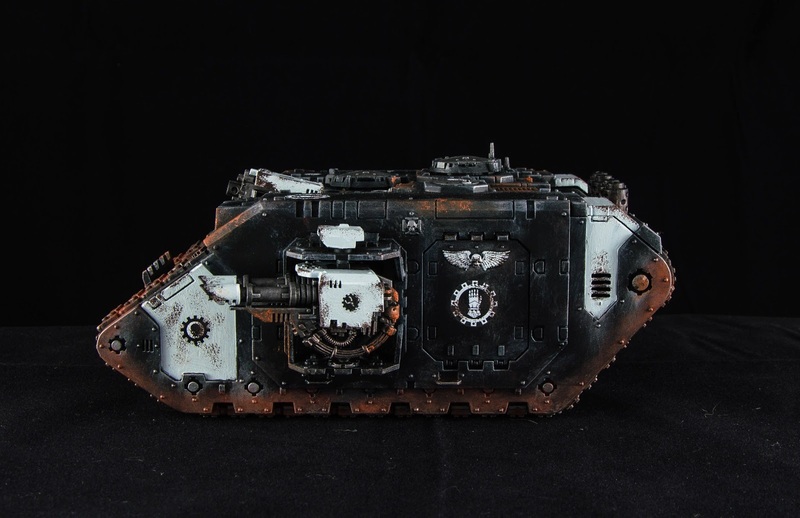 They prefer a blunt way of war, using a huge amount of firepower and field control above all. That does not mean they shouldn't have assault squads, but I preferred to start my demi-company as classically as possible, including those units I think are a must-have in a Stormwalkers army. Thus Dreadnoughts of course, as I said, and Tacticals as well, indeed. 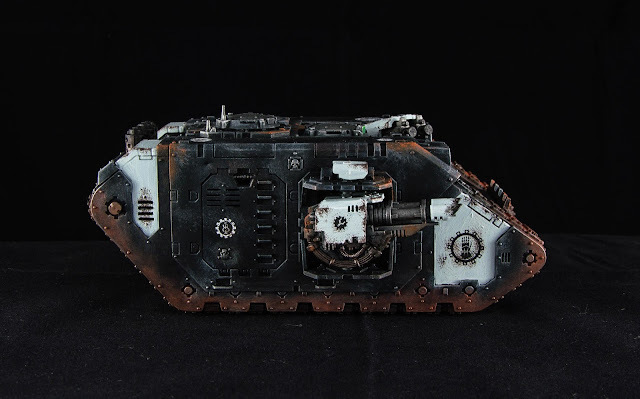 But the very heart of an IH demi-company is its Techmarine, or Iron Father, as they address him, and a (or two, or three) Razorback. I also chose to use Medusan Immortals as my veteran marines. The presence of a squad of terminators, that normally isn't so background fitting, is due to the fact that they are a (beautiful) present, and I would really really paint and play them. 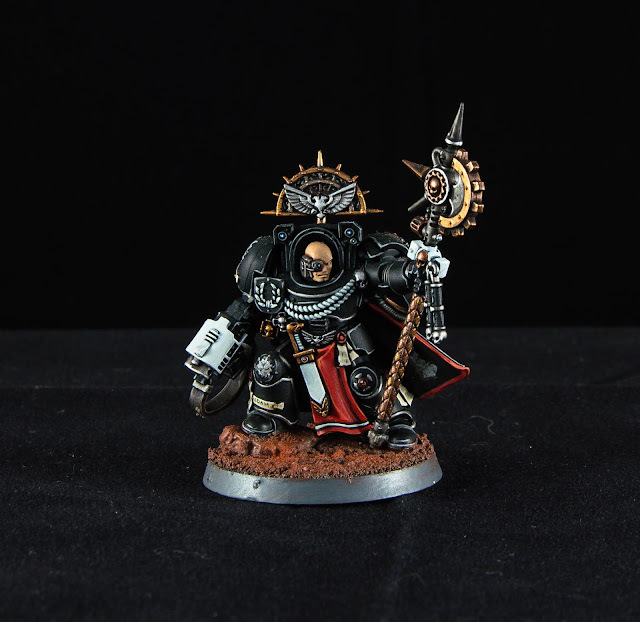 Same for the Librarian... more in place than termies but always a border option for a classic Iron Hands force. Secondary, but mandatory as well, you need something else. Etched brasses and transfers could be a safety option to mark your army and make it very recognizable. 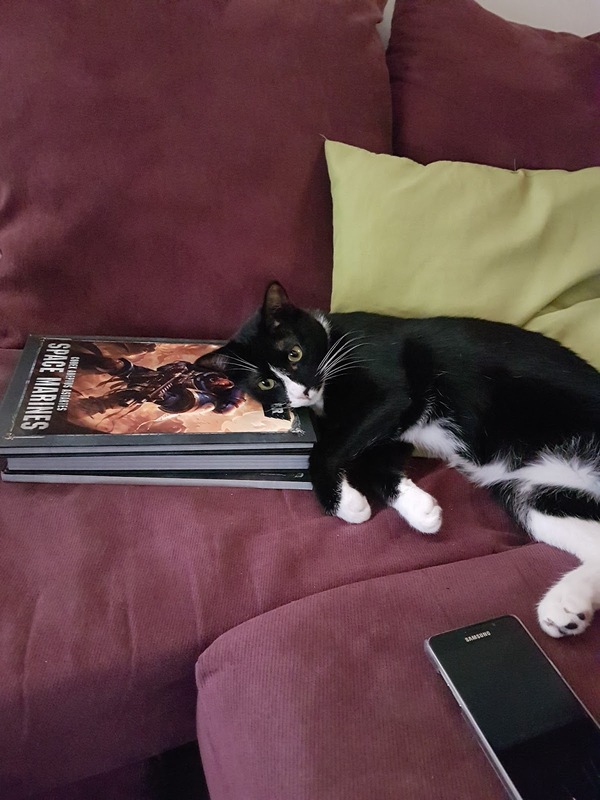 No I did not drug my cat to make it pose, he literally loves to sleep on my astartes dex. Oh, his name is "Zephacleas". I know I am beyond any treatment.... Or, wait! Perhaps this is our Lone Hunter? Magnets! 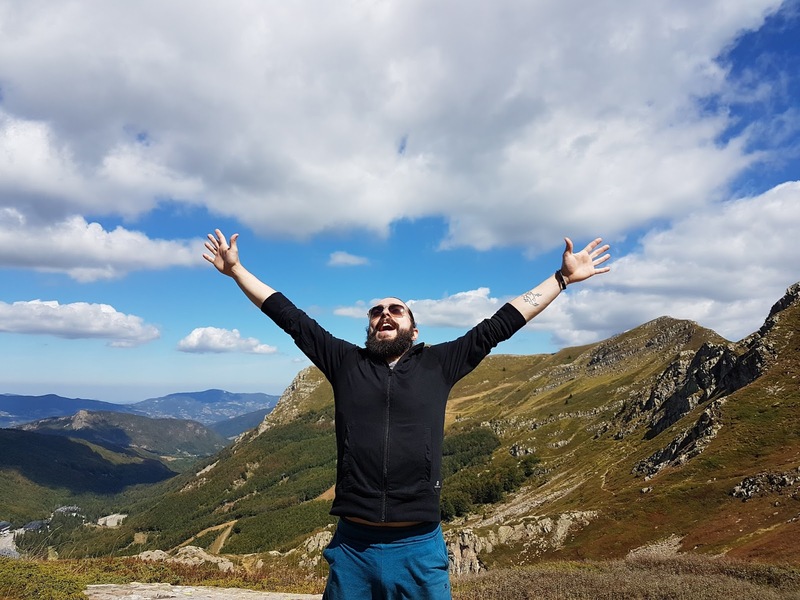 Can easily change your life, of course! And a fluiball may help digging out a bit when you're too stressed to keep on building soldiers! 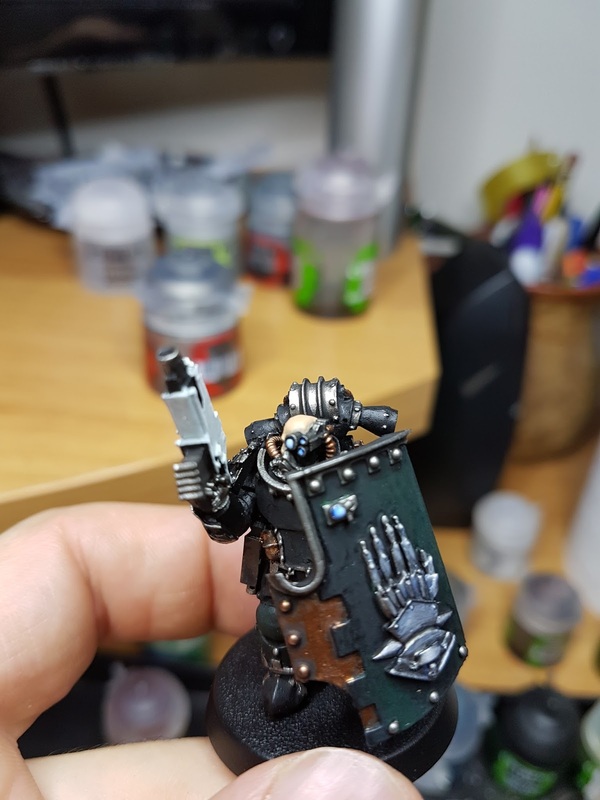 Maybe you won't trust me, and it is perfectly legal, but believe me, you NEED so much those guys if you want to build an Iron Hands army. They are the most Iron Handish thing you can find around (unless you're able to scratchbuild something better, and this is also perfectly legal). I painted them using some tricks I pulled out during their very painting session. I know that's too assumptive but none has ever said that they are going to compete in a GD competition, so wtf. 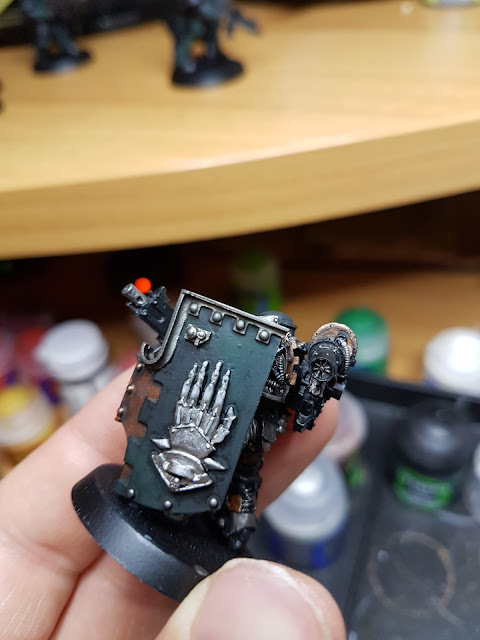 After having based them in full black (they are Iron Hands and I'm a very cunning person, you know) I drybrushed two zenithal points of the shield with Dark Reaper. Probably. 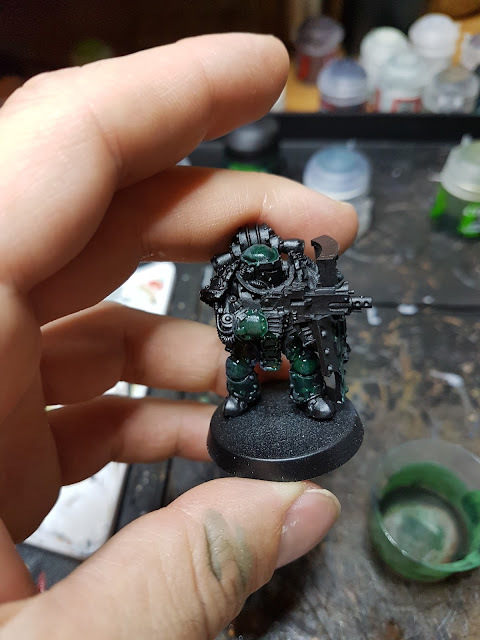 Ok ok... primed in black than covered with Biel-tan green. Probably 50/50 with Medium. Probably. The hand. The Hand. That hand you dreamed of for several nights and you want to impress all your friends with... so Iron Hands, so Epic! 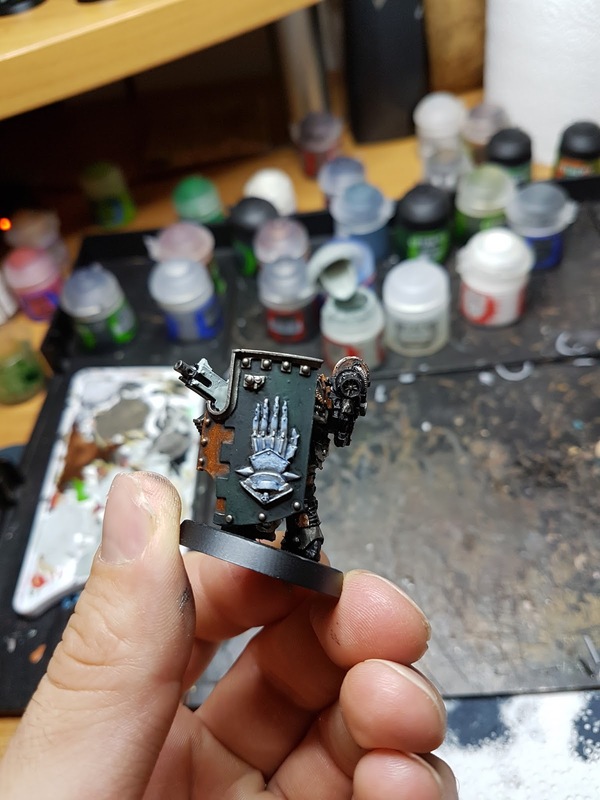 I (probably) painted those hands on their shields very simply, like Leadbelcher and oil and Leadbelcher again, and a few touches of steel here and there. 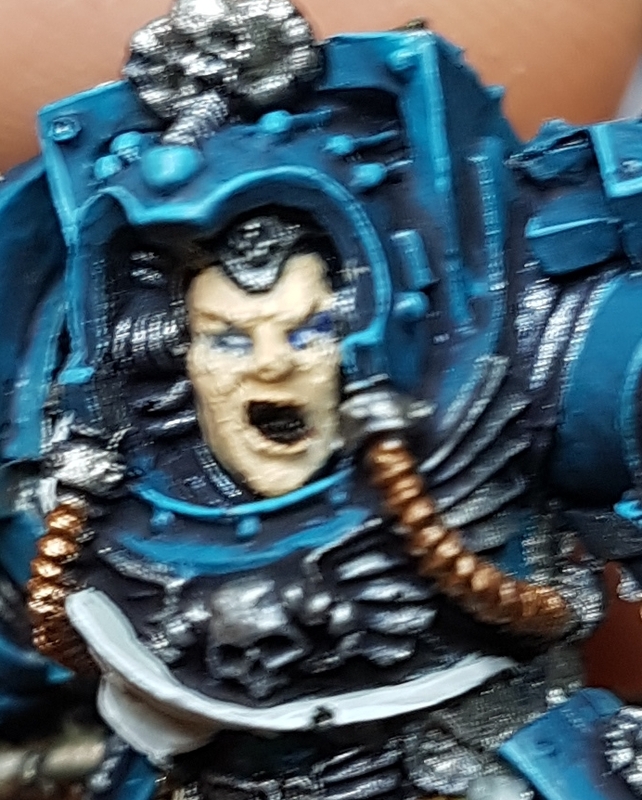 All with a very confident smile upon my face.. "they are beautifully sculpted, paint doesn't matter, I'll go easy, I know how to paint metals"
Then, folgoration... Epiphany (that was yesterday... nonono not that one! ), Google has (bought) YouTube. I had to wash it. 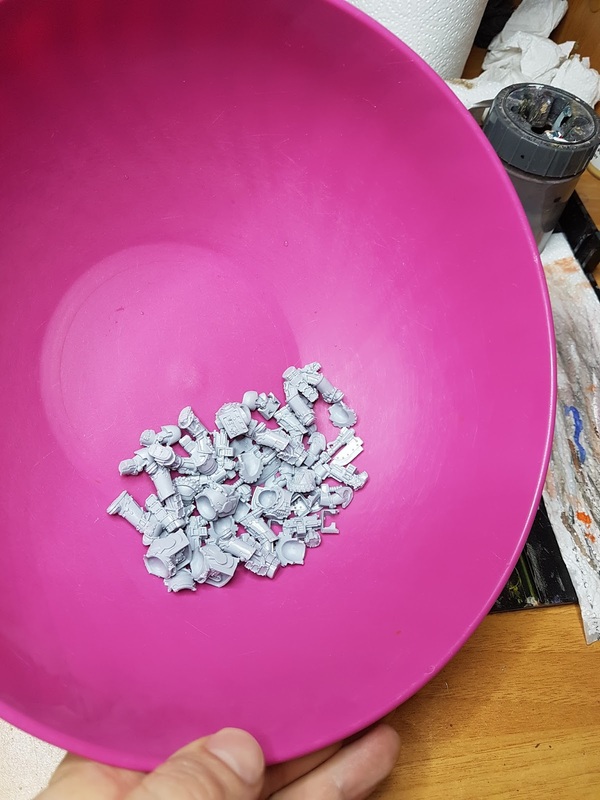 your 500 fantastic piece of beautiful resin! Each one different! 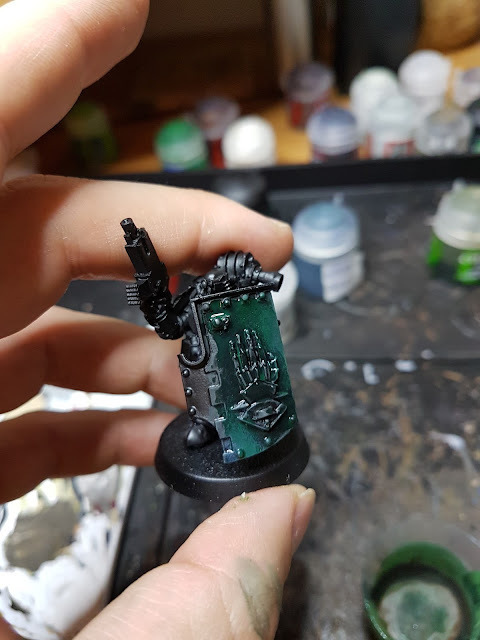 You will feel so satisfied after you have put ca 300 transfers on your tiny soldiers, and they will now look like veeery Iron Hands (since you have stuck that damned hand four times per model), that you'll probably stress a lot all your friends with pathetic chats about heraldic, absolutely useless, matters. That's normal, but you need an holyday, you know. Aaaahh, I have my Battle Demi-Company! I AM FREE (probably)! 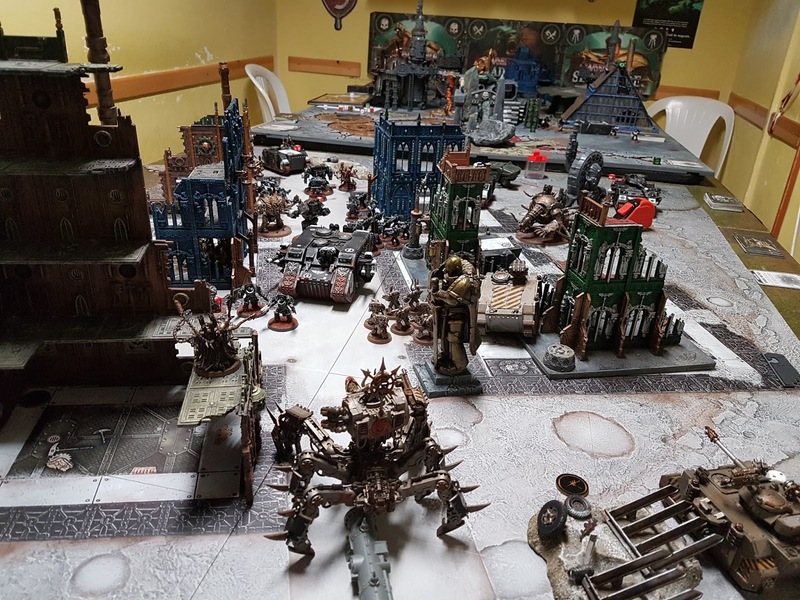 ... and you get destroyed on the field by a very solid force of Iron Warriors. Iron vs Iron, in an Iron World... nothing will ever sound more heavy metal than this, anyway.